I love trying different mascaras, it is one of my favourite beauty products that I like to change and rarely buy the same one twice. There were three mascaras that I really wanted to try and now I have crossed one of my list. Bourjois and L'Oreal both have a mascara that is on my beauty wish list and I recently got Maybelline The Colossal Waterproof Mascara Go Extreme. I really liked the look of the brush as it is oversized and looks really bushy, which I think is a plus as you don't have to keep reapplying mascara over lashes as it reaches all of them. A downside I found is that it does come out a bit clumpy, when I'm applying mascara, at times I have blobs that don't always brush in . 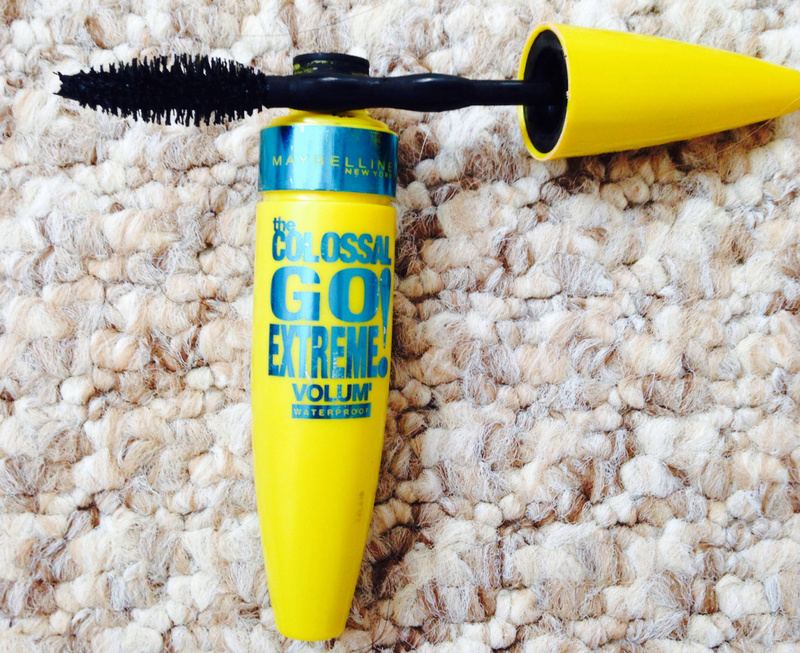 It's quite a thick mascara and I sometimes have to brush over my lashes to smooth it in. 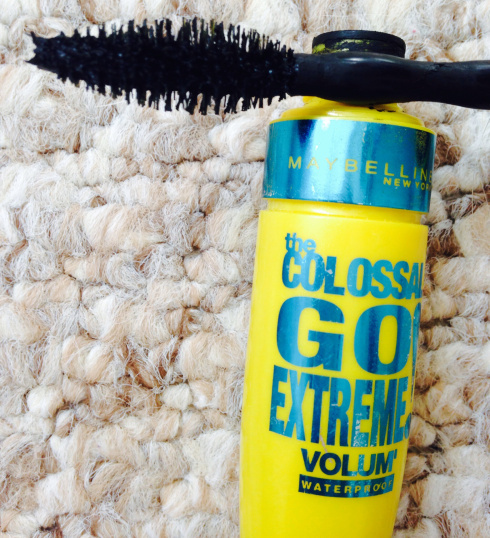 I probably wouldn't buy it again as I had to use another mascara with the Maybelline one but it hasn't put me off using Maybelline again. 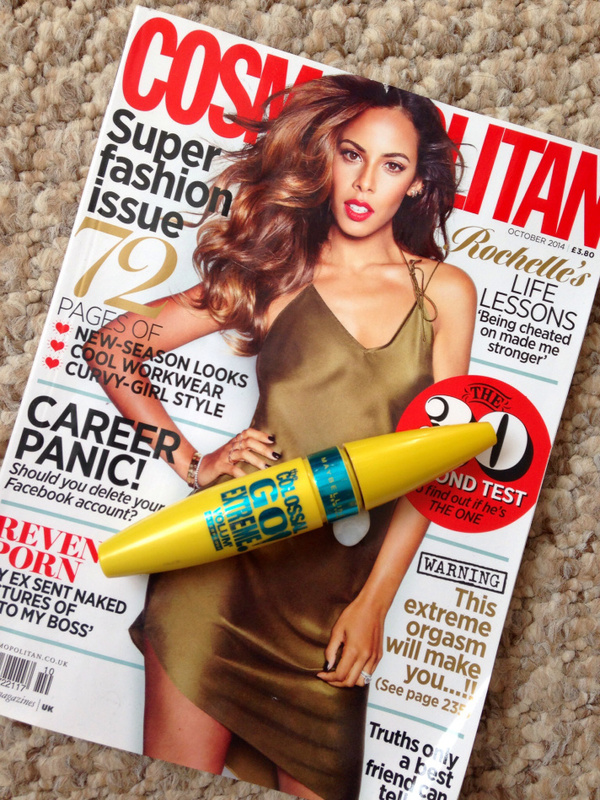 I would give the mascara a 3.5/5, except for the slight clumpy-ness it is a good mascara! It costs £6.99 from Superdrug at the moment, what I love about Maybelline is that all of their makeup is a reasonable price and does not cost a small fortune! Maybelline is a great brand and their products are awesome, their foundations are great as are their lipsticks and lip glosses. I have bought one of their mascaras before, I tried Maybelline Big Great Lash Mascara and it is a good mascara, I have bought it at least three times.